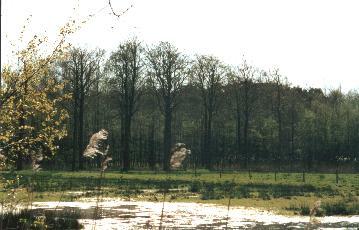 FLANDERS, APRIL-MAY 2002 - When the temperatures rise and the days get longer, nature is awakening from its winter sleep. This years spring has been a exceptionnaly sunny and mild one, making the renewing of natural beauty even more enjoyable. It all starts with some little flowers that peek out of the earth in March, but after the first couple of sunny weeks in April, the abundance of new green leaves and yellow, pink and white flowers on the trees is everywhere. In early spring, I always admire how the landscape changes every day. Besides the beauty of the fresh green in the forest, one of the big attractions are the fruit gardens on the countryside. 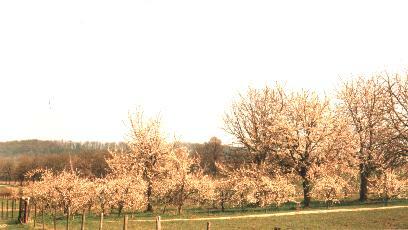 The colours of the blossoming fruit trees are just wonderfull. I made a couple of walks in the province of Limburg in Flanders, close to the border with the Netherlands. 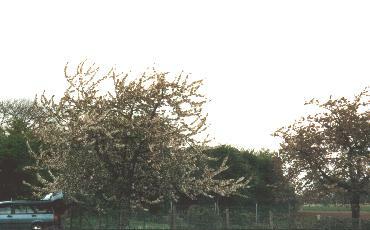 The abundance of apple trees and cherry trees over here covers the landscape with a blanket of blossoms.